Timberlake, NC - Since the 1700s, the Holeman family have raised their children and made a living on this 40 acre farm. Today, Charles and Joan Holeman grow greenhouse and field tomatoes, cucumbers, and other vegetables as well as strawberries, cut flowers and a variety of live plants including ferns, bougainvilleas, bedding plants, pansies, and mums. Flat River Nursery & Farm sells at the Wednesday and Saturday Markets. 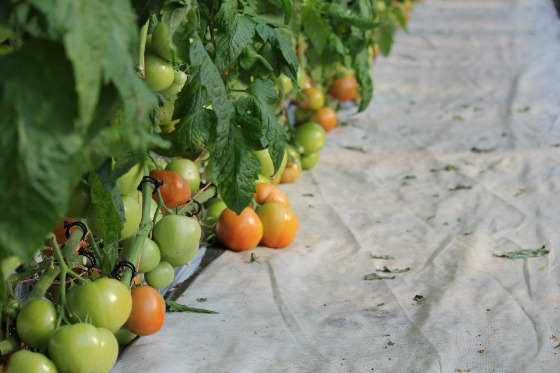 Growing Practices: Greenhouse tomatoes are grown pesticide-free with bumblebees for pollination and other beneficial insects for pest control. Greenhouses are heated with a hot water system using recycled wood for heat. All field production is on raised plastic covered beds with drip irrigation. Cover crops follow all crops, which are on a three year rotation. When pests become a significant problem, softer controls (organic, fungus, and bacteria) are used first and approved chemicals are a last resort.